I love it when creatives collaborate, and this new, collaborative collection from designers, Love vs. Design, and photographer, Max Wanger, will knock your socks off. 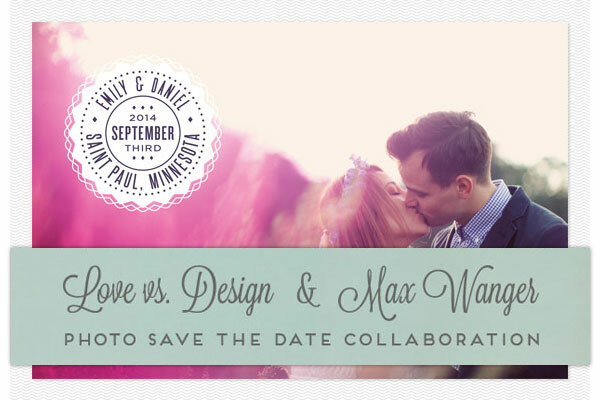 A few months ago, the creative peeps at Love vs. Design brainstormed with Wanger about a way to collaborate, and the result is this completely crush-worthy collection of photo save the date cards and postcards built around Wanger’s whimsical photos. The 16 save the dates in the collection feature minimalist modern, on trend, and vintage-inspired designs that perfectly compliment the beautiful photos of happy couples. Use your own photos in these crushtastic save the date cards and postcards to customize the designs for your special day. This post contains affiliate links. 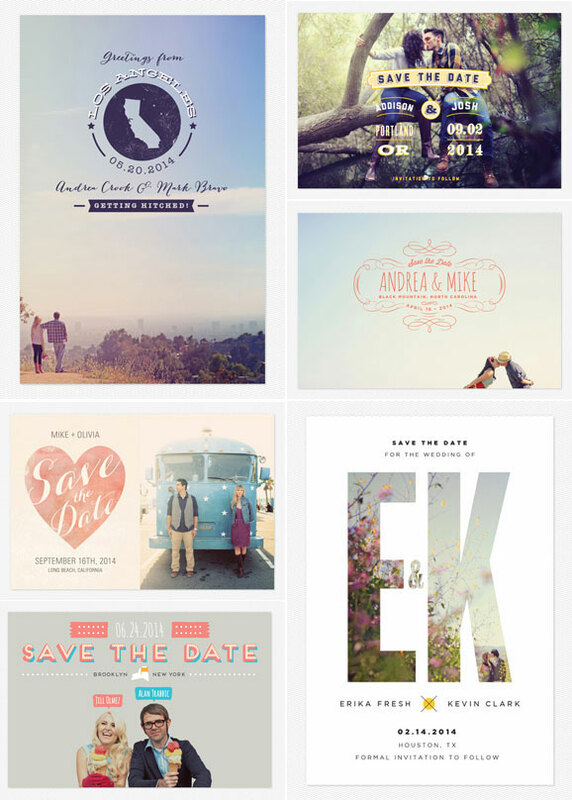 If you purchase through these links, you’ll help Invitation Crush, and you’ll receive lovely save the dates, too. Win, win!